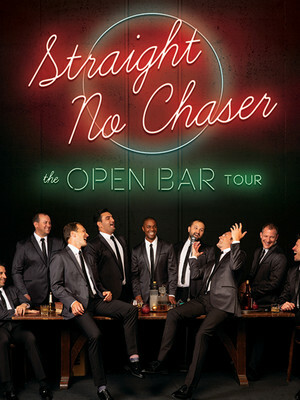 Straight No Chaser delivers an entertaining evening full of superb music and one you shouldn't miss. Why See Straight No Chaser? 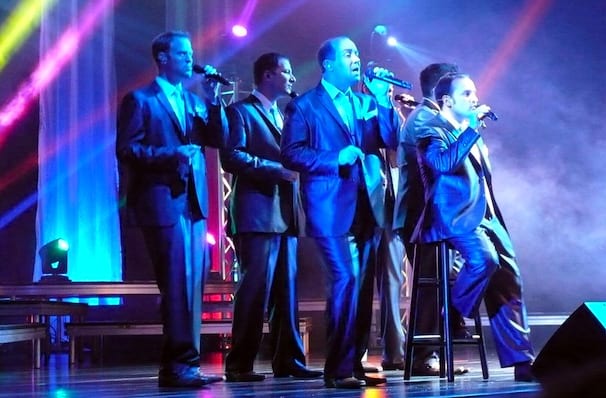 The 10-man a-capella group, who found fame on Youtube after forming at Indiana University, continue to dazzle with their renditions of pop classic and modern chart hits, including "Let It Go", and Pharrell Williams' "Happy". The One Shot Tour sees a celebration of ten years since their RIAA gold-certified debut album "Holiday Spirits" and they're inviting their fans to join in on the fun. Straight No Chaser is currently working on new music, and will release further details in the next couple of months! So should we expect to hear their upcoming new tracks on this One Shot tour? Only one way to find out. Sound good to you? Share this page on social media and let your friends know about Straight No Chaser at Hudiburg Chevrolet Center. 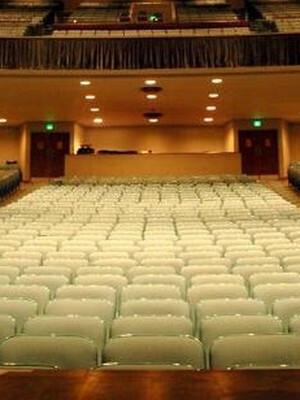 Please note: The term Hudiburg Chevrolet Center and/or Straight No Chaser as well as all associated graphics, logos, and/or other trademarks, tradenames or copyrights are the property of the Hudiburg Chevrolet Center and/or Straight No Chaser and are used herein for factual descriptive purposes only. We are in no way associated with or authorized by the Hudiburg Chevrolet Center and/or Straight No Chaser and neither that entity nor any of its affiliates have licensed or endorsed us to sell tickets, goods and or services in conjunction with their events.